Peter Steinfels will speak on “The Church and the Scandal: New Challenges, New Questions” on Thursday, April 25 at 4:30 p.m. at Villanova University. Steinfels is a former religion correspondent for the New York Times, a Fordham University professor emeritus and former editor of Commonweal magazine who wrote an in-depth analysis earlier this year on the 2018 Pennsylvania grand jury report on child sexual abuse in the church. 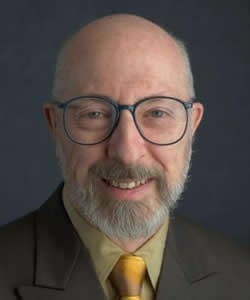 He has also held positions at Georgetown University, the University of Notre Dame and the University of Dayton and served as a consultant for the PBS television series “Religion and Ethics Newsweekly.” He holds a PhD from Columbia University. The talk that is free and open to the public will be held at Villanova’s Charles Widger School of Law, 299 North Spring Mill Road in Villanova, in Laurence E. Hirsch ’71 Classroom (Room 101). The event is sponsored by the Eleanor H. McCullen Center for Law, Religion and Public Policy and the St. Thomas More Society of Philadelphia.